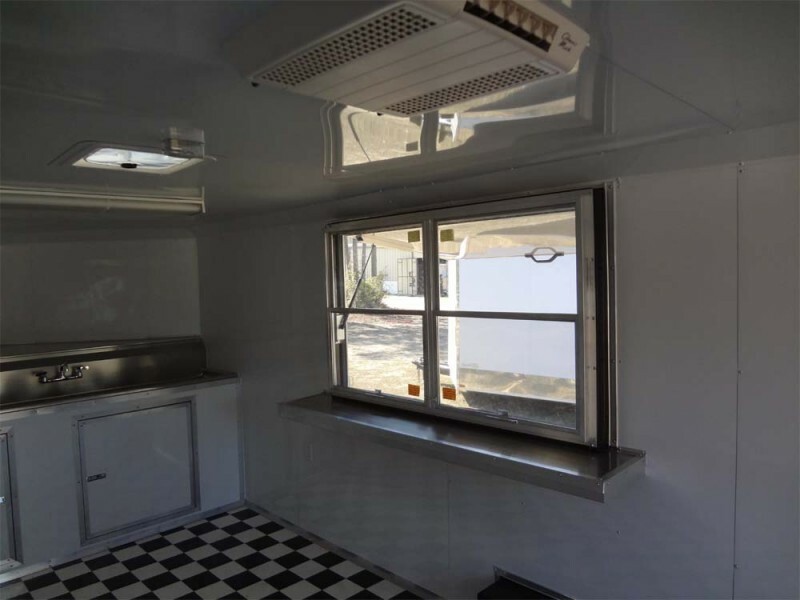 SKU: 147. 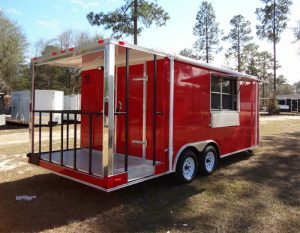 Category: Concession & Vending Trailer. 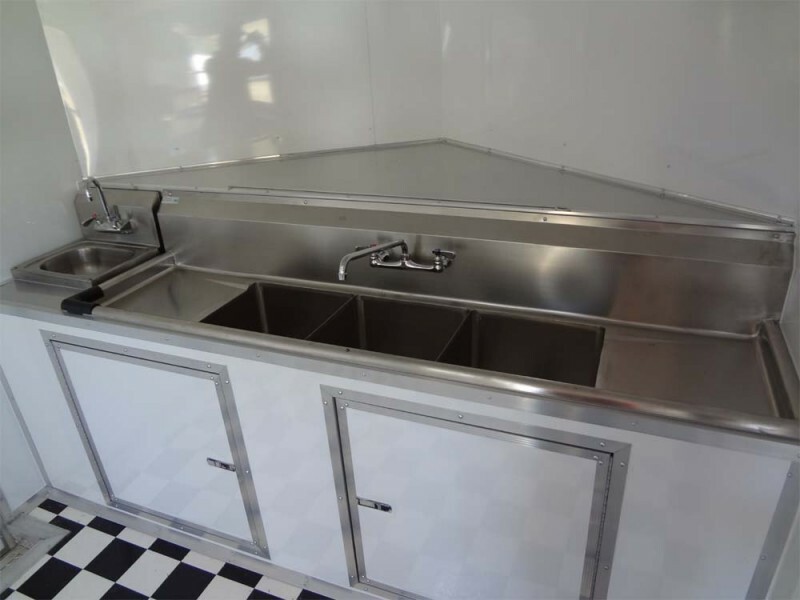 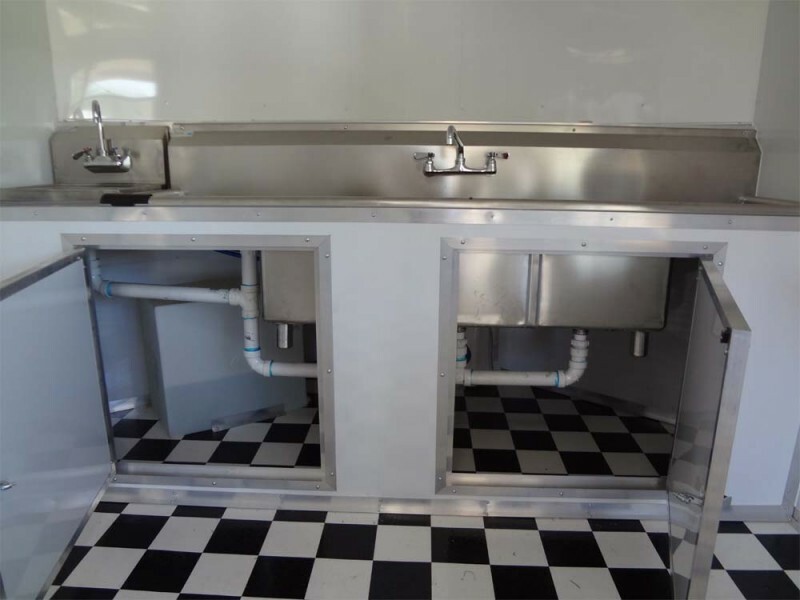 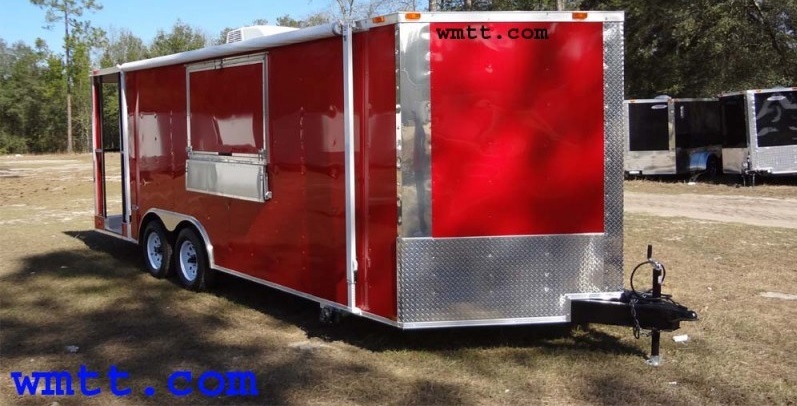 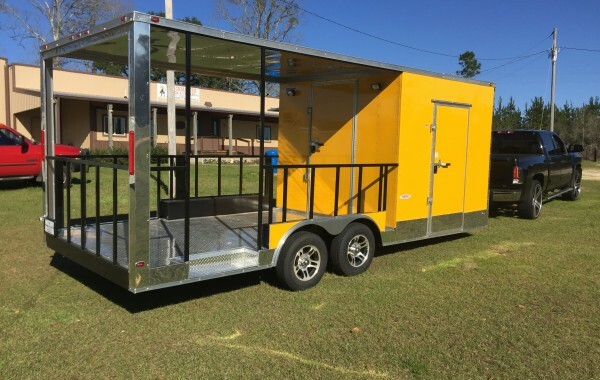 This is our most popular Barbecue Concession trailer with porch. 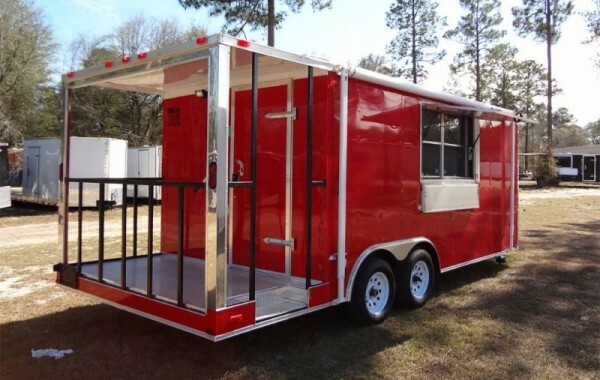 Custom orders are no problem. 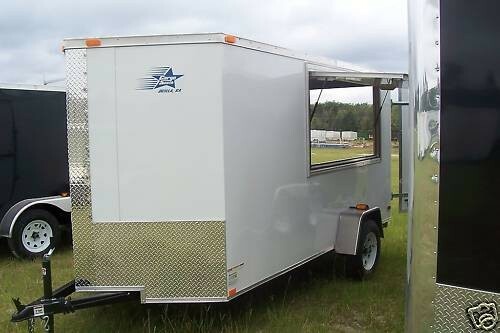 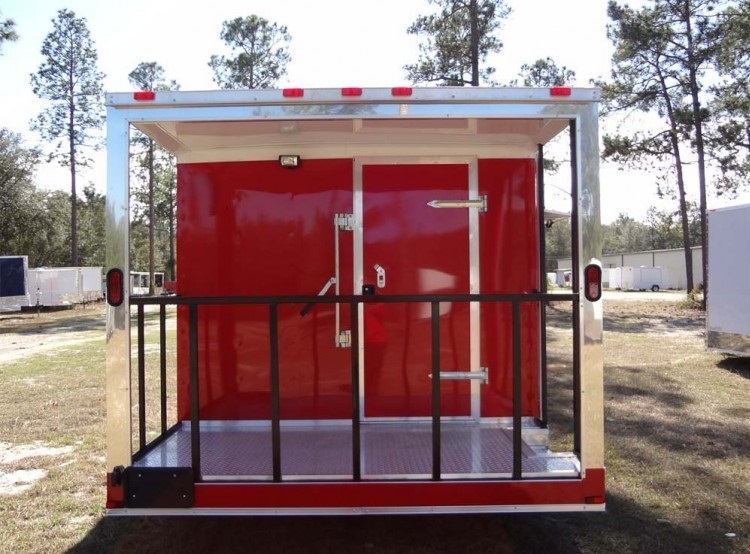 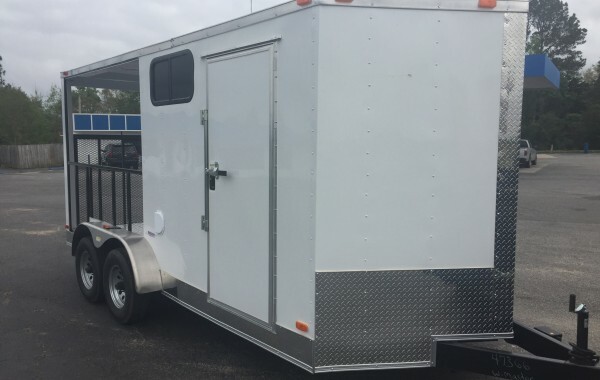 We can have this trailer built to your specifications in 4-5 weeks! 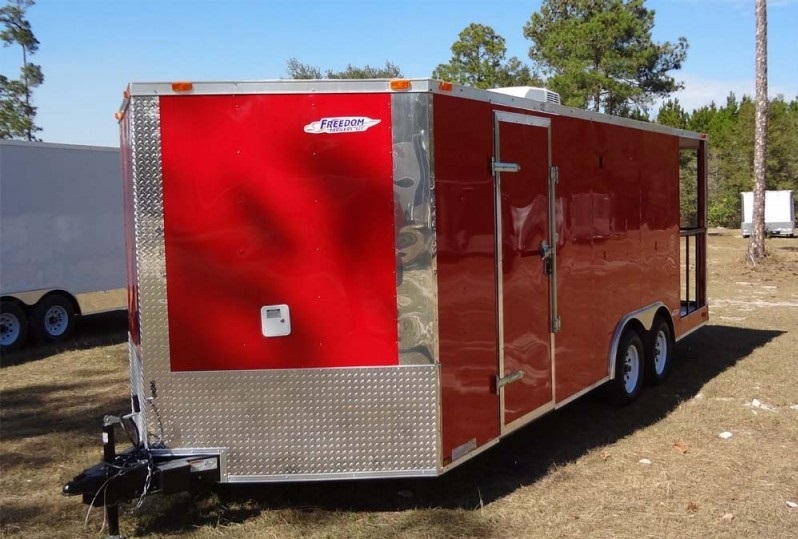 This trailer has 16′ of useable box space, plus the 4′ porch.